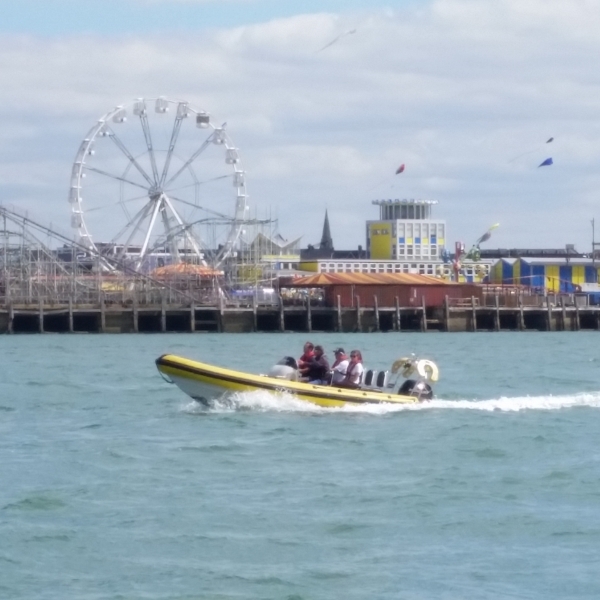 Powerboat training comes in many different forms. It can be exhilarating or relaxing depending on what you want to do and what type of Powerboat you use. 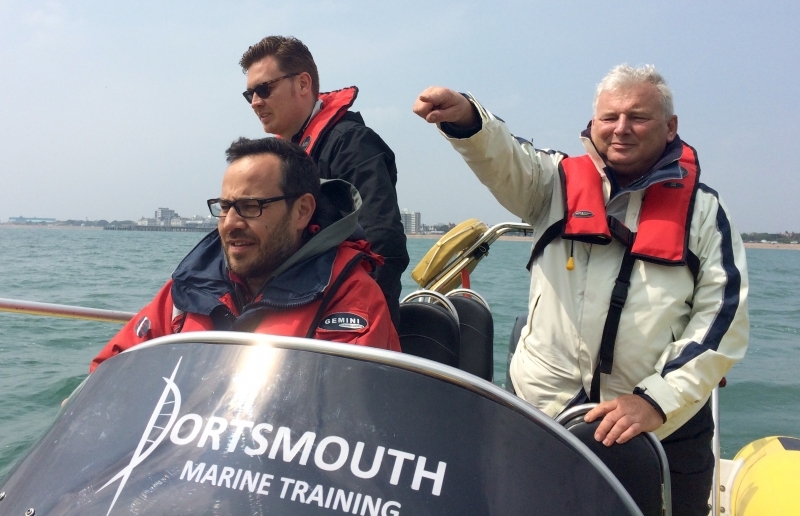 We can offer a Powerboat course for the many different types of Powerboat. These range from little boats for rivers and lakes to fast offshore race boats. 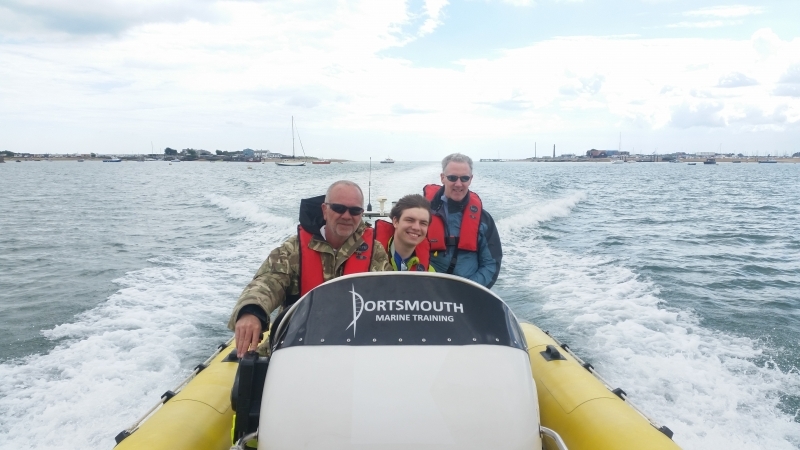 The RYA Powerboat training scheme is targeted toward open day boats of less than 10m in length, driven by an outboard engine or possibly an inboard and stern drive, probably with a planning hull. 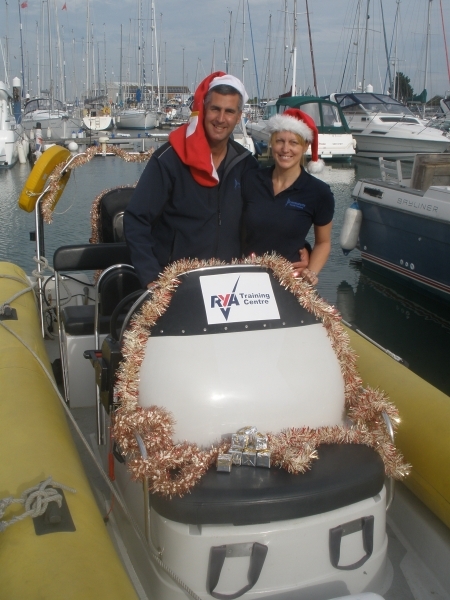 If you would like training on a larger motor cruiser try our RYA Motor Cruising courses. 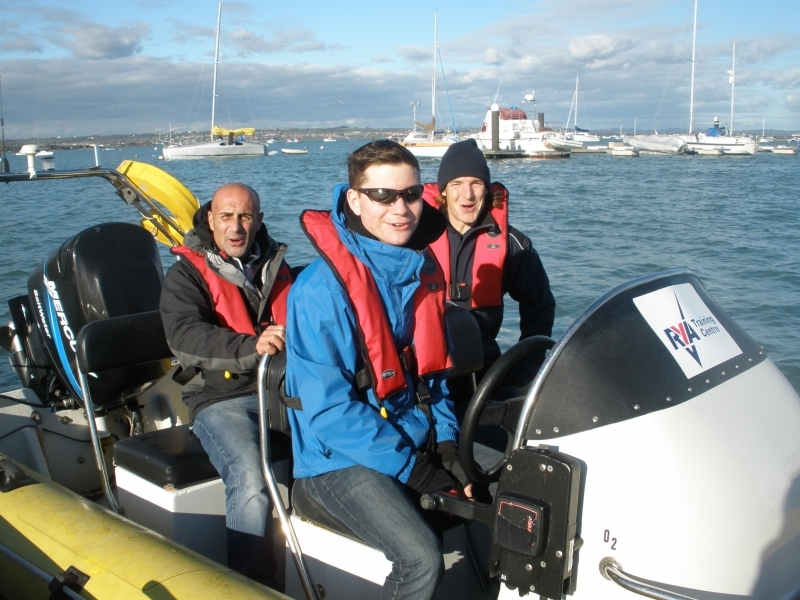 The RYA Powerboat training scheme has a variety of courses to suit all ability’s. 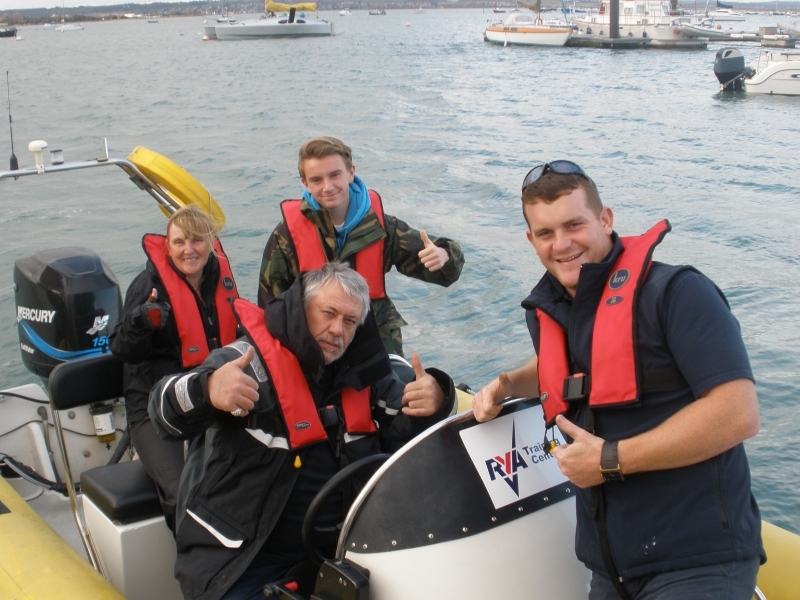 We offer the whole range of RYA Powerboating courses so we can offer a course to suit you. 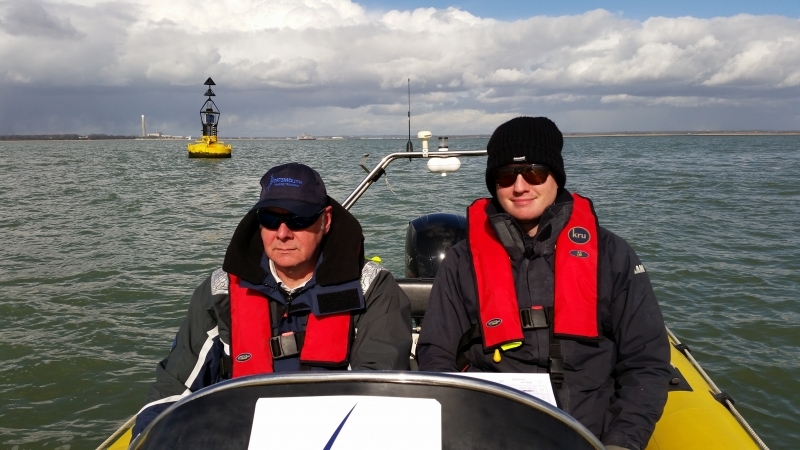 They start from the RYA Powerboat Level 2 for beginners to RYA Powerboat Advanced course to develop your night time pilotage and rough weather handling. If you are an experienced powerboater then you might want to pass on your skills to the next generation. 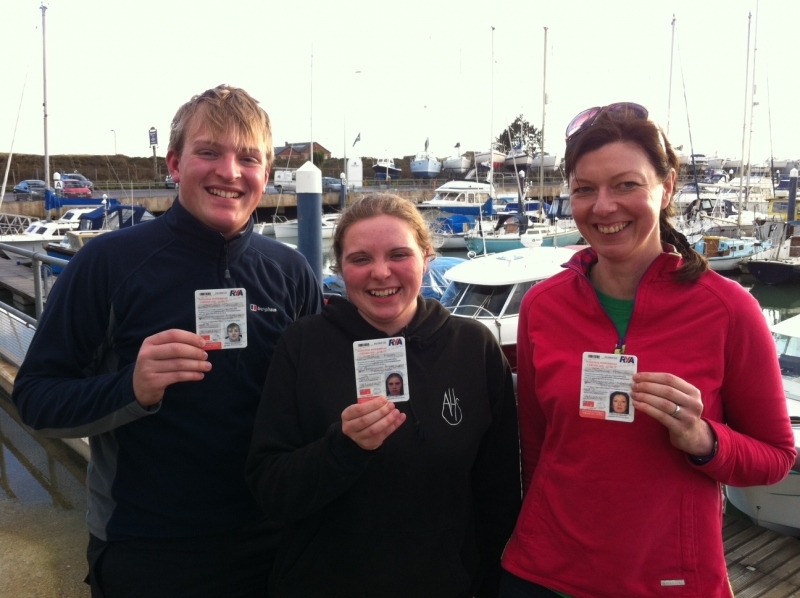 We can help with instructor training to enable you to teach the RYA Powerboating courses. With a maximum student/instructor ratio of 3/1 your course with us will be safe as well as a lot of fun. 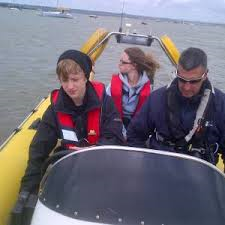 Our school boat ‘O2’ is a Solent 6.5m RIB (Rigid Inflatable Boat) with a new Suzuki 140Hp outboard and the latest Raymarine chart plotter and VHF. It has 6 ‘pod’ seats to make sure people are comfy and secure when we are doing speeds over 40mph! Its size means it is perfect for our more advanced courses, but still small enough not to be intimidating when boat handling. Our new boat ‘Summer Lighting’ is a Brig 5.5m RIB with a Suzuki 140hp outboard and the latest Raymarine electronics. It is a little smaller than ‘O2’, but is still capable of high speeds whilst providing a safe ride. All our boats are kept to a high standard. We get them regularly inspected by the RYA to ensure they have the correct equipment onboard and are suitable for the training we offer. Our base is Southsea Marina, Portsmouth. Our cruising area offers unlimited training potential in stunning surroundings. The marina itself is sheltered and has lots of space for berthing practice. 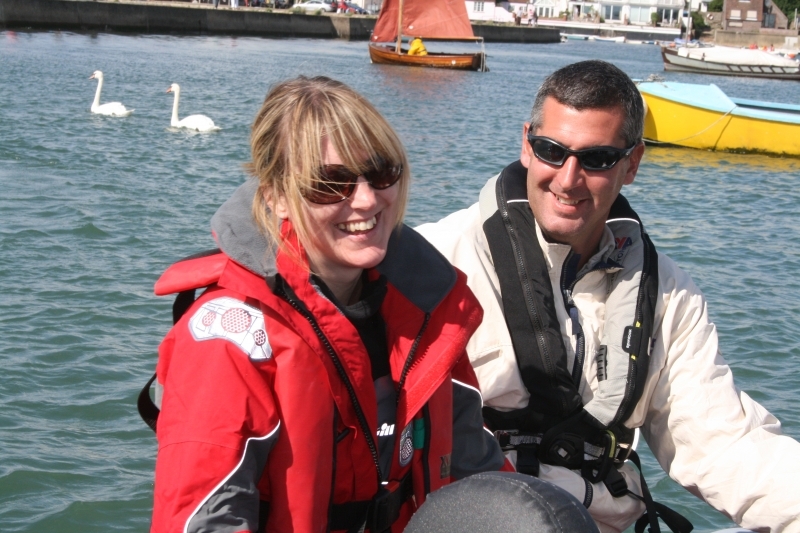 Southsea Marina is in Langstone Harbour which is perfect for practicing pilotage and manoeuvres in sheltered waters. Langstone Harbour is located in The Solent, considered to be one of the worlds best cruising areas with an abundance of places to visit and things to do.